Unify your complexion and create your idealnatural-looking glow with this gently-tinted cream gel that also protects from low-strength sun intensities and contains antioxidants to protect from free radicals. 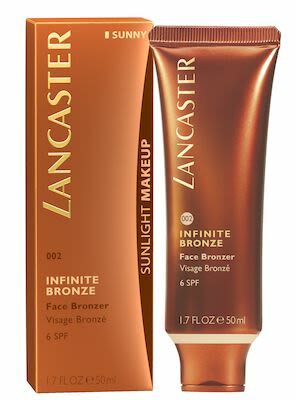 Beauty tip: Ideal as a base for all our Infinite Bronze products, or alone for subtle radiance anytime of year. Create your own gorgeous sunny glow…whenever, wherever. Lancaster Sun legendary scent aroma.